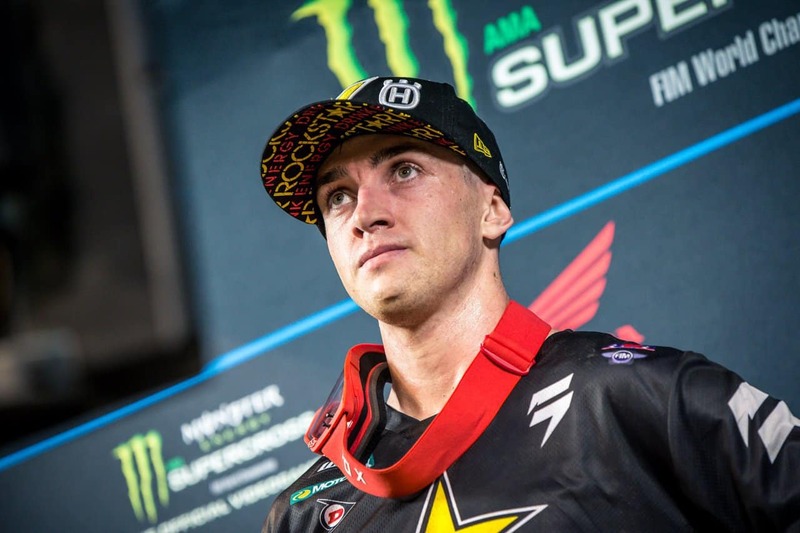 Dean Wilson will race the 2019 Supercross series on a privateer Husky FC450. I first met 27-year-old Dean Wilson back in 2010. In those days Dean was a rookie racing for the powerhouse Monster Energy Pro Circuit Kawasaki team. Race wins and a National outdoor championship came easy. 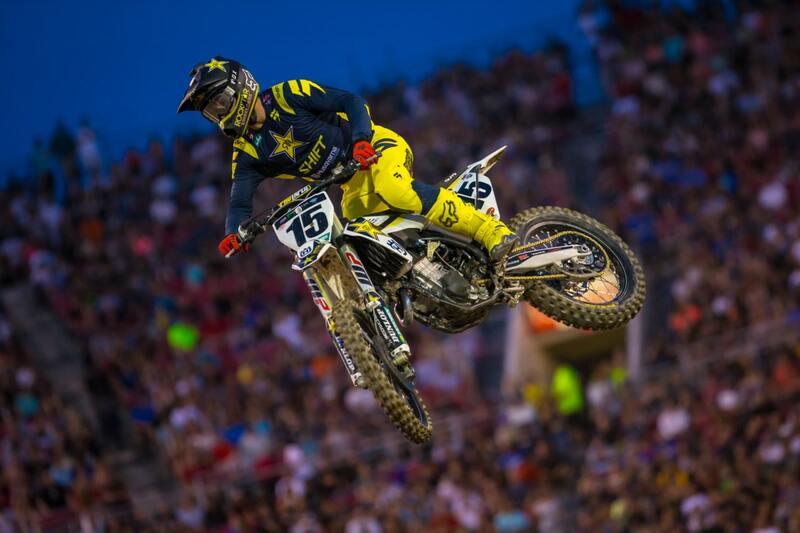 But after moving to the 450 class, Wilson has been plagued by injuries. 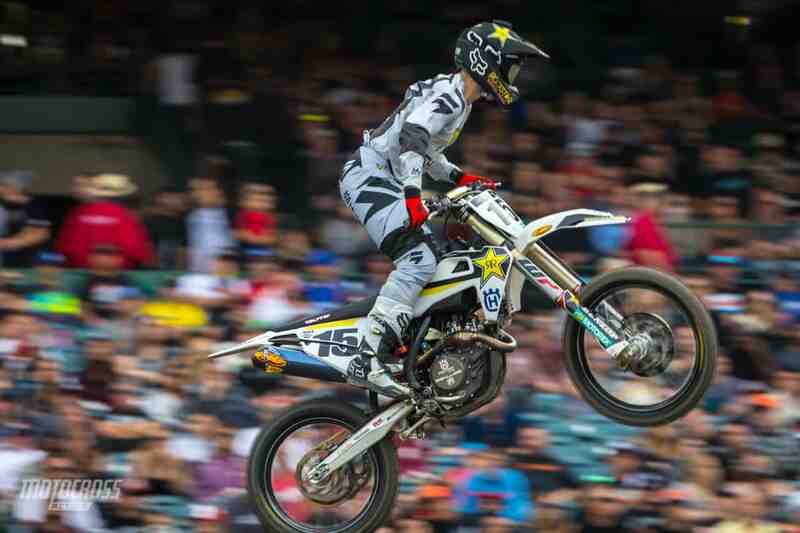 Derailed by another injury during the 2018 outdoor season it was still expected that he would retain his third spot at the factory Rockstar Husqvarna team. When the third spot got eliminated, so did Dean. 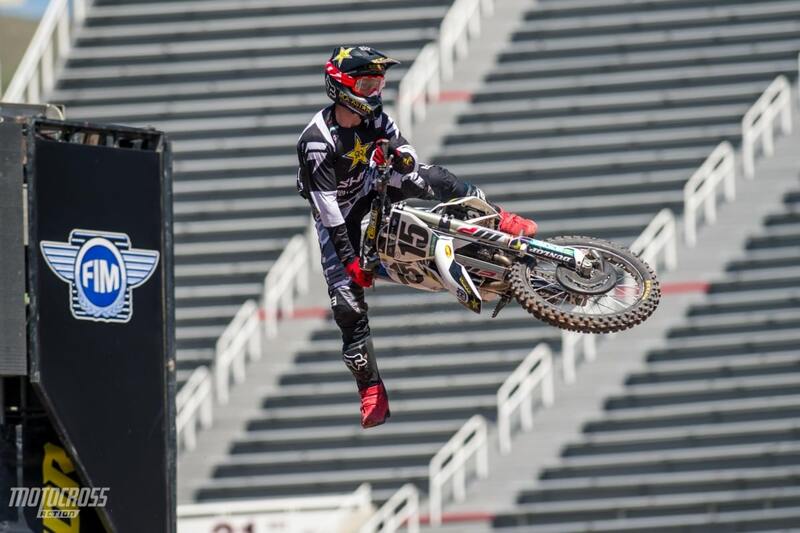 Now back to his privateer days of a couple years ago, Wilson is more determined than ever to get his factory seat back. DEAN, YOU ARE BACK AS A PRIVATEER AGAIN. Yes, it was unfortunate, but nothing to dwell on. You just have to keep moving forward and looking ahead. Honestly, the team has been awesome, and I have a lot of respect and love for that team, because I really tried my hardest there. In the meantime, what has happened has happened. I am just going to keep working hard, and it is all going to be on a Husqvarna still. It is going to be good. YOU WERE TESTING OUT SOME OTHER BRANDS THOUGH RIGHT? Yes, I did ride some other 450’s but I am on a Husqvarna. Rockstar and Husqvarna are a really big help, and support to me. Rockstar wants me on a Husqvarna, and obviously I like the bike. So, I said, “yeah, let’s do it.” Rockstar bought me five bikes, so now we are just building them, trying to get them organized, and get things ready. It is crazy how busy we are, but we are just going to make it happen. As of now Dean will be lining up at Anaheim 1 on a privateer FC450 supported by Rockstar. 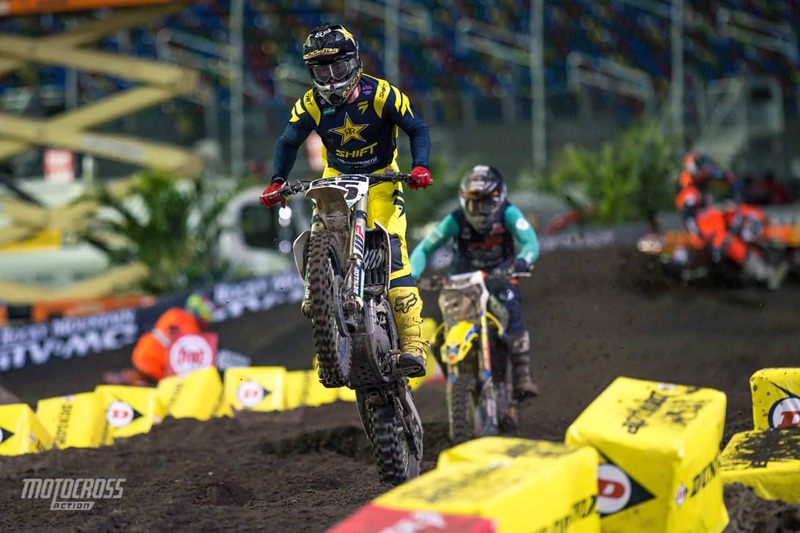 ROCKSTAR HUSQVARNA TEAM OWNER BOBBY HEWITT SEEMS TO REALLY VALUE THE RELATIONSHIP WITH A RIDER. You know, Bobby and the whole team have just been unreal. It has been such a good time over there, but at the same time they were only accepting two riders. And the two riders they have are phenomenal, and unfortunately, I did not make the cut. This is obviously hard to take, but you know all you can do is use it as motivation. Just get back on the track and put in the results, and the results will take you were you need to be. THE FACTORY TEAM MAY PROVIDE SOME HELP AND SUPPORT? Rockstar has really helped me out by trying to arrange things for me. So right now, we are in the middle of the arranging what I am going to be doing engine wise, and stuff like that. So, we are still working on that, but definitely will be using Pro Taper, and WP suspension, right now we are working on the engine parts. YOU HAVE DONE A COUPLE OF OFF-SHORE SUPERCROSS RACES, DO YOU FEEL PRETTY GOOD ABOUT YOUR RIDING? I am still building myself up, but it was cool to go overseas to Australia and New Zealand and race. 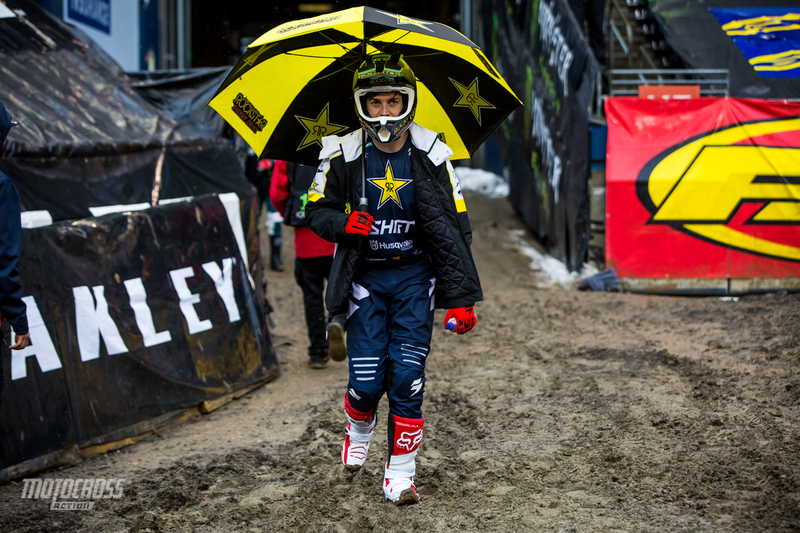 Just getting the gate drops is really good for me, and both events were good to get that Supercross racing in. I am happy, I know what I need to work on and I feel like I can still compete with those guys at top level. I think that I will be okay. Whatever opportunities come up, I will deal with them then, but I just need to focus on the things that I need to get done, the parts that I need to get ordered and all that stuff. It is crazy. There is a lot more involved than what people think. Dean placed second in the new Monster Energy SX Open International Supercross FIM Oceania Championship which took place in Australia at the AUS-X Open and New Zealand at the SX Open. YOU HAVE BEEN IN A SIMILAR SPOT BEFORE, BUT THIS TIME IT SEEMS LIKE YOU ARE IN A BETTER MINDSET THAN YOU WERE BEFORE. Yes, I am in a better spot, and it is not the worst position. I think I have it better than most privateers for sure. A lot is happening with me, and I am making most of the decisions on what needs to be done. When it comes to talking and dealing with sponsors that is also my job. I am just grabbing the bull by the horns and making it happen, along with trying to put in my training as well. Everything has been interesting for sure. It has been tough, but I think you have to keep carrying on and you know, everything will work out in the end. I KNOW YOU SPENT A LOT OF TIME IN FLORIDA, BUT WHERE ARE YOU NOW? I am going to be in California most of the time, just because of parts access and stuff like that. Everything is here in California, and it is a lot easier and convenient to be in California at the moment. To be in Florida, there is a lot more stuff that you have to figure out, it is quite crazy. There is a lot on the plate to take care of in Florida. You need a practice mechanic, you need to make sure that you have a good stock of parts, like brakes and engine parts, to be in Florida. So, at the moment, I will be in California, that is the plan. THIS IS THE NOT BEST ARRANGEMENT FOR YOU, BUT YOU SEEM TO BE UPBEAT. I just think that at the end of the day, all you can do is your best and that is pretty much what I am trying to do, put my best effort in. Be the best rider I can be on race day is all I can do, and whatever happens, happens. You are just going to bring yourself down by getting depressed. But don’t think that I don’t get sad and depressed over it, but that is just life. You just have to carry on and push through the hurdles that you are placed against. I love this sport too much and enjoy it and even through the ups and down, especially on the downs. It really makes you appreciate the good things in life and just achieving those results, because you really went through a lot more to achieve them than usual, so it is a lot more meaningful. IN SPITE OF NOT BEING ON THE FACTORY TEAM, IS IT POSSIBLE THAT SOMEBODY COULD COME AND OFFER YOU A FILL-IN RIDE? I am not sure really at the moment. I am just going to focus on what I can do right now, and that is to get things ready for Anaheim. Whatever opportunities come up, I will deal with them then, but I just need to focus on the things that I need to get done, the parts that I need to get ordered and all that stuff. It is crazy. There is a lot more involved than what people think. I am not riding on a team. I am just doing it all myself, but if you do it properly with good stuff, it’s not too bad – it just takes a lot of pain and effort for sure. ONE THING THAT YOU CERTAINLY HAVE IS FAN SUPPORT. WHAT ARE YOUR THOUGHTS ON THAT? I just try to be myself and not try to be somebody I am not. You know, I just give it my best effort on the track every time, and I am a normal person, so maybe some people can relate to that. I am really lucky for all the support I get, and having the fans means a lot to me. You know it is great that they stuck through all the crap I have been through.